Is it possible to change packages that are installed by miktex? If I install a package manually, the .sty and .def files are textfiles and changeable. I thought it would be exactly like that, if miktex installs the package by itself. But I can't find the files. Are they binary files? Or am I only blind and don't see them? 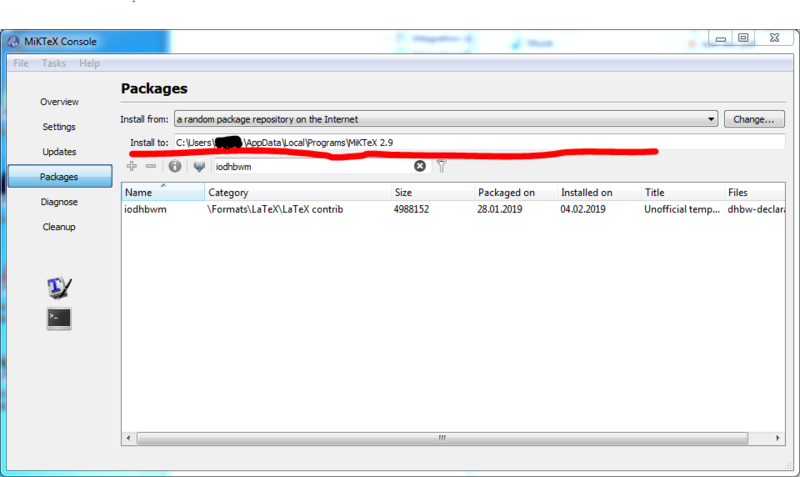 Because of moewe I found the directory, wehre the packages are stored. Like moewe pointed out, you can find it in the miktex console in tab Packages. Not the answer you're looking for? Browse other questions tagged miktex2.9 or ask your own question.